Buttoned up, voluminous or ruffled classic white shirt got a high -fashion twist that will continue to be a must have piece for the upcoming seasons. 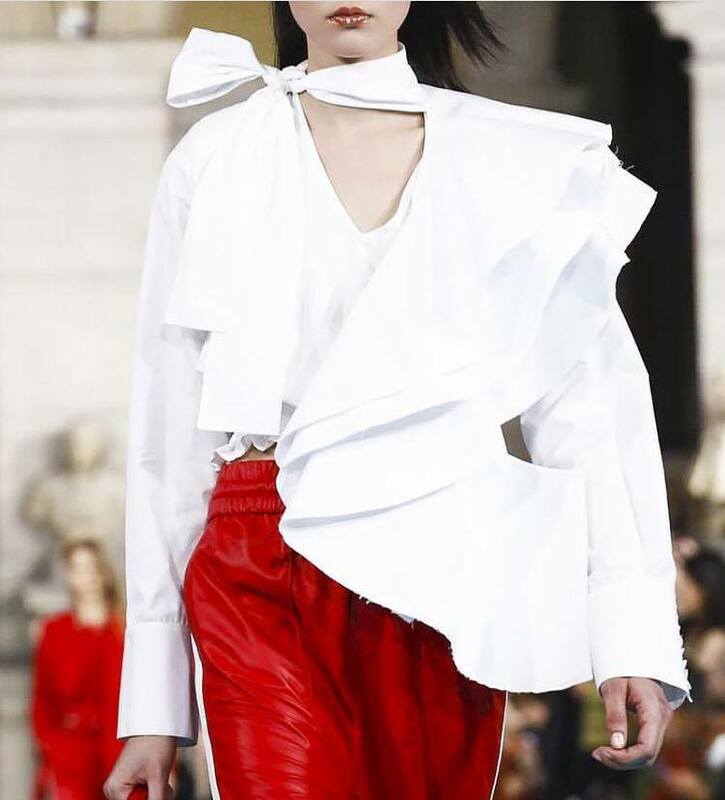 Designers continue to reconsider this staple garment adding minimalist ruffles, exaggerated tailoring details as seen at Paris Fashion Week SS17. Widziałaś coś w podobnym stylu w sieciówkach ? Z góry dziękuje za odpowiedz.